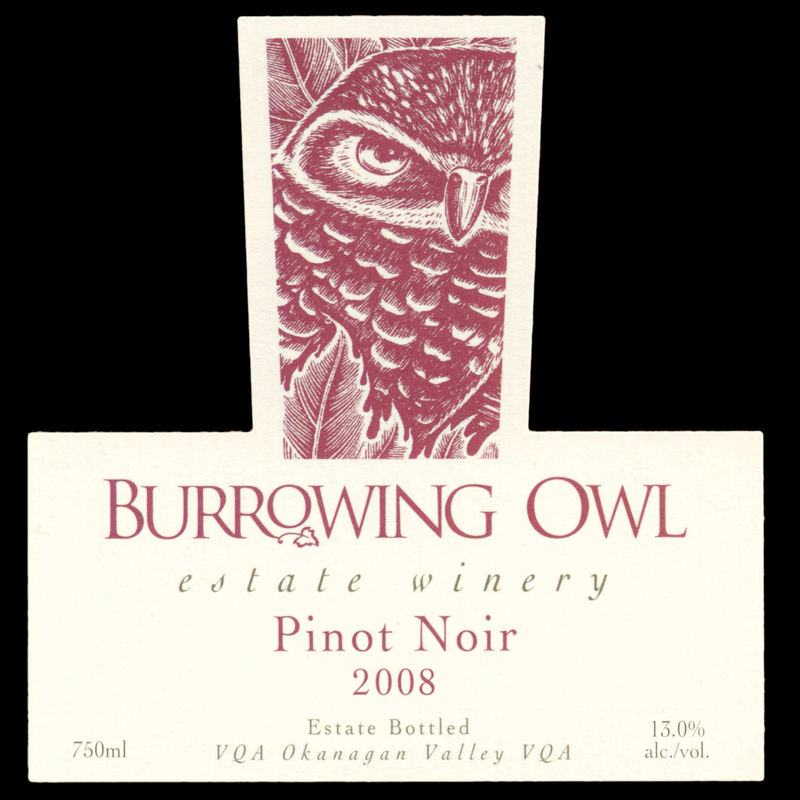 The 2008 growing season was cooler than normal for the Okanagan Valley.This resulted in a slower ripening of the Pinot Noir fruit, generating fantastic varietal character. The wine has a nice bright terracotta core with a raspberry rim appearance. 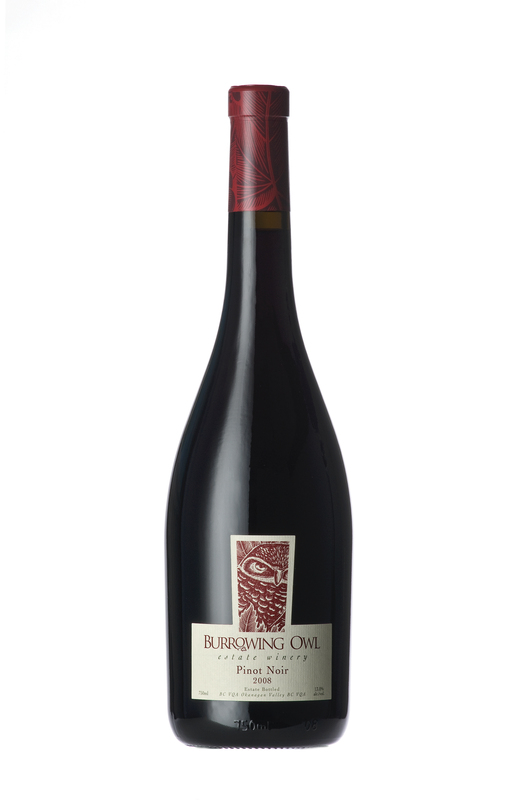 The nose consists of red forest fruit, and subtle earth tones long associated with Pinot Noir. On the palate, the earth and forest fruit continue to dominate with refined silky, elegant tannins and balanced acidity.The wine has a beautiful mid-palate and such persistent flavour that you will not want to share it. 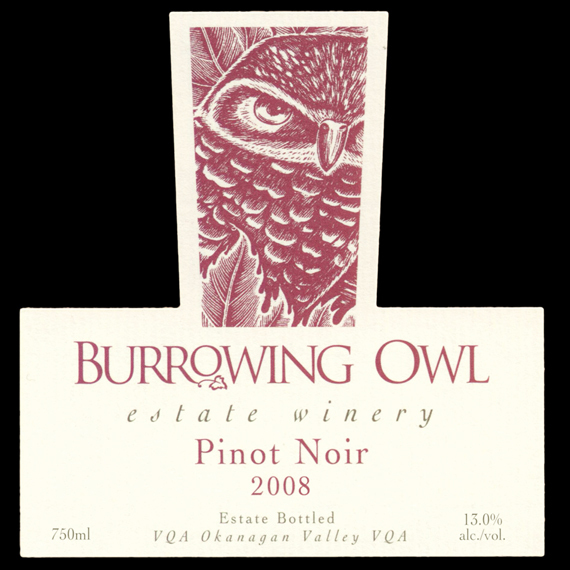 The grapes for this wine were harvested on October 8th, 2008 from Burrowing Owl Vineyards in Oliver. These blocks contain own-rooted Pinot Noir clones 114 and 115. The fruit was hand-picked, destemmed, and crushed into stainless steel tanks. It was inoculated with our preferred yeast strains and fermented at 28°C. After pressing, the wine was transferred into barrels for the completion of malolactic fermentation (MLF).The wine was racked once after MLF and then was not moved again until bottling.The Pinot Noir barrel program consists of 33% new French and American oak for 10 months.The wine is unfiltered and un-fined for maximum flavour. Enjoy!